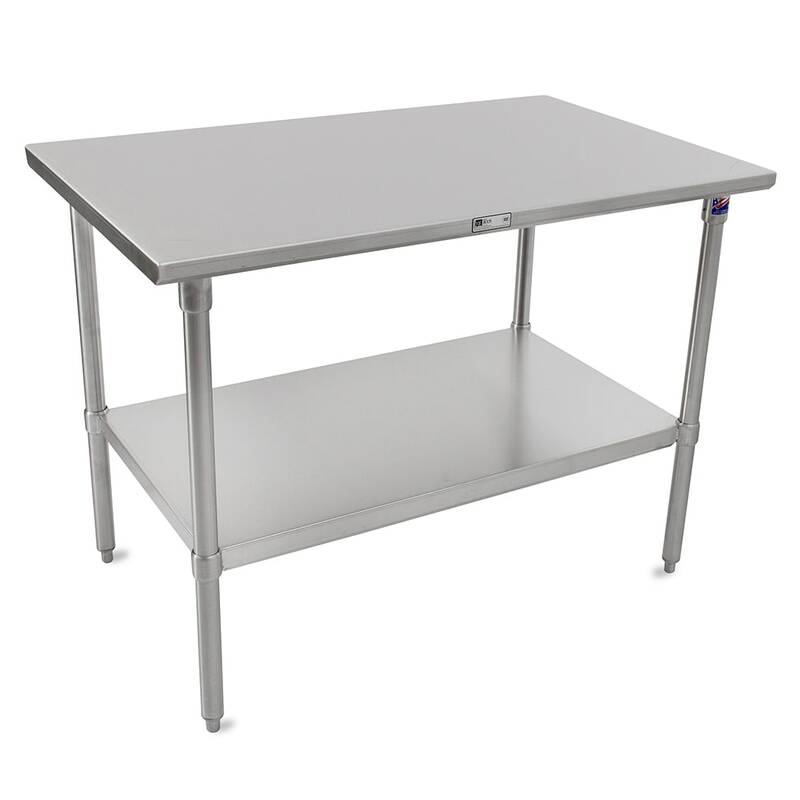 Constructed of stainless steel, the John Boos ST6-3096SSK work table can endure use in commercial settings and is resistant to corrosion. To strengthen the unit, the top is TIG welded and reinforced by a channel. All exposed welds are polished to match the adjacent surfaces. The front and rear edges on the John Boos ST6-3096SSK work table are blunted, and the side edges turn down at a 90-degree angle that fits next to other tables and equipment. This unit measures 96 inches long and 30 inches wide, providing plenty of space for prepping ingredients and using prep equipment. 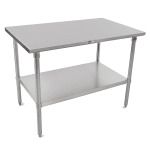 The tables and stands buyers' guide has in-depth information on commercial work tables.